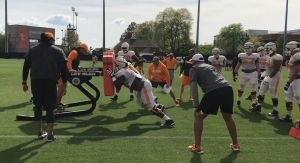 The Tennessee football team held it’s final spring practice of 2019 before this Saturday’s Chevrolet Orange and White spring game at Neyland Stadium. 99.1 The Sports Animal, as always, was there at practice. Watch some of the footage below.